I'm having some issues with my install of a ADS-MRR with the HNR-RR-CH1 harness with a JVC KW-V830BT radio in a 2016 Jeep Patriot. First, in the instructions provided by the flashing module web page on step 4 it says to connect a Red female connector to a Black male connector and while I can see an empty Red female connector, there is no black male connector to connect it to so it's not connected to anything. 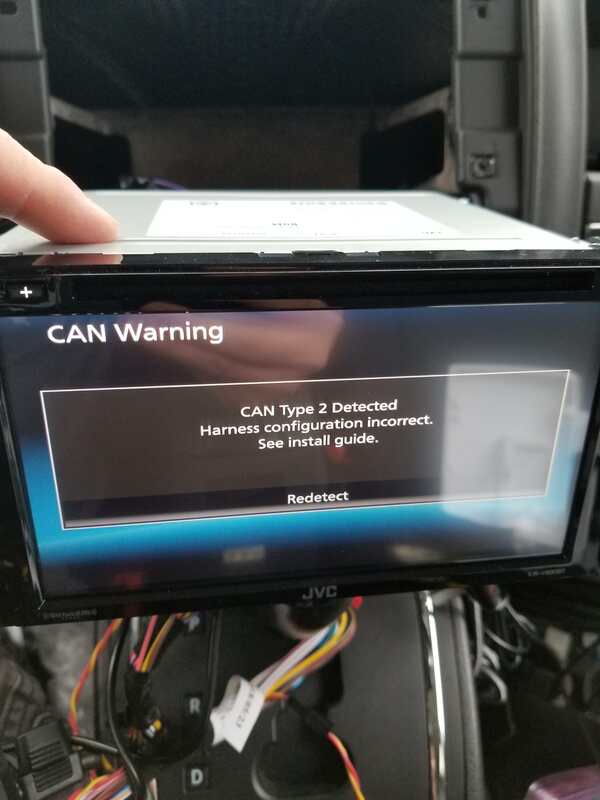 Second, upon installation I'm getting a CAN bus warning on the JVC radio and when I press "Redetec" it goes away and the radio turns on. Third, Steering wheel controls do not work, and when I press any of the steering wheel buttons, no LEDs light up on the Maestro unit. When I flashed the unit, the green LED illuminated but when I installed in the car, nothing lit up. Fourth, Once the radio is on, when I turn the car off and get out, the radio stays on and doesn't shut off. If you look at the CH1 harness there is a single male red 2pin connector there is also a male 2pin black and female 2pin black. These two will have a brown/red and brown/yellow, unplug those black connectors and plug the red into the female black connector. this will fix all the issues you are experiencing. That nailed it Justin. I saw that in step 4 to hook the Red female to Black Male but when I didn't have a black male that wasn't already connected I assumed it was for an option I didn't have. After a bit of checking everything I swapped those two and tried again, everything worked.